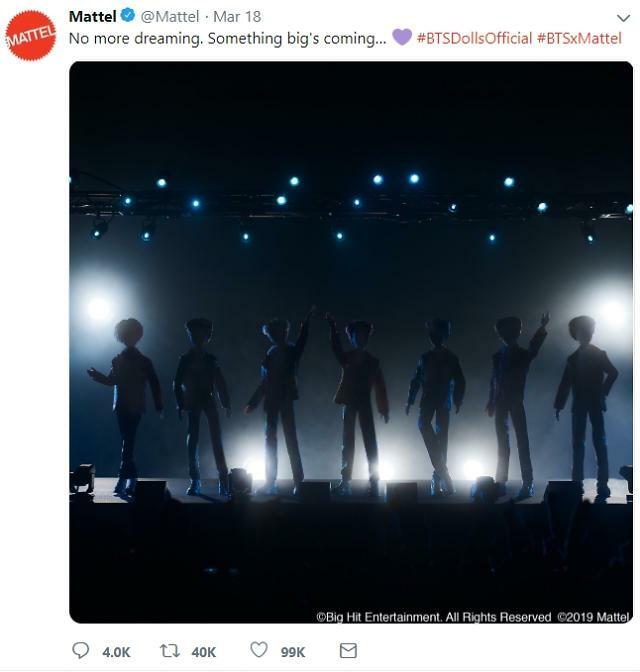 SEOUL -- Mattel, an American toymaker known for Barbie dolls, has dropped teaser images for BTS-themed dolls. Each image showed distinctive characteristics in silhouettes and close-up shots. 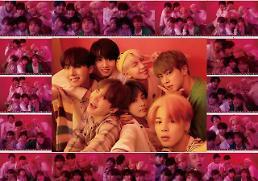 The toy company signed a licensing deal with Big Hit Entertainment in January to collaborate with the K-pop band to produce BTS-inspired toys including dolls, collective figures, games and other related products. 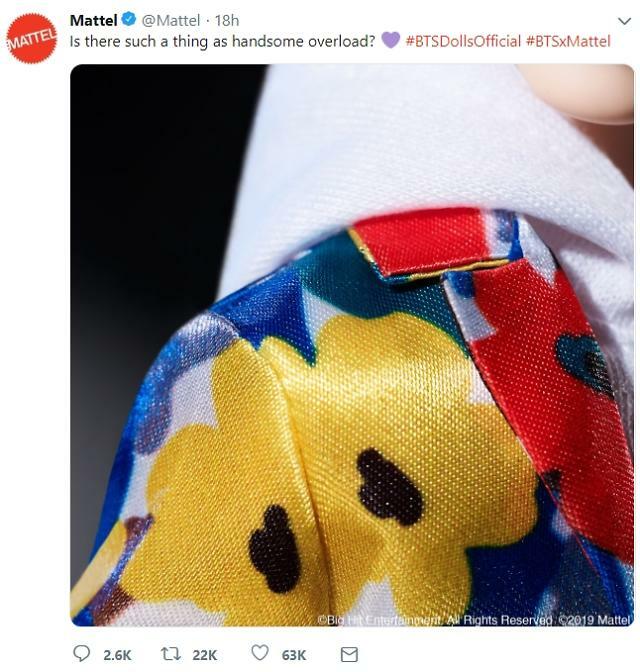 This week, Mattel released three teaser images via Twitter. The dolls, which are 11.5 inches (29.2 centimeters) tall, will be released in September. The toymaker will also release UNO, a world-popular card game featuring special BTS-inspired rules. 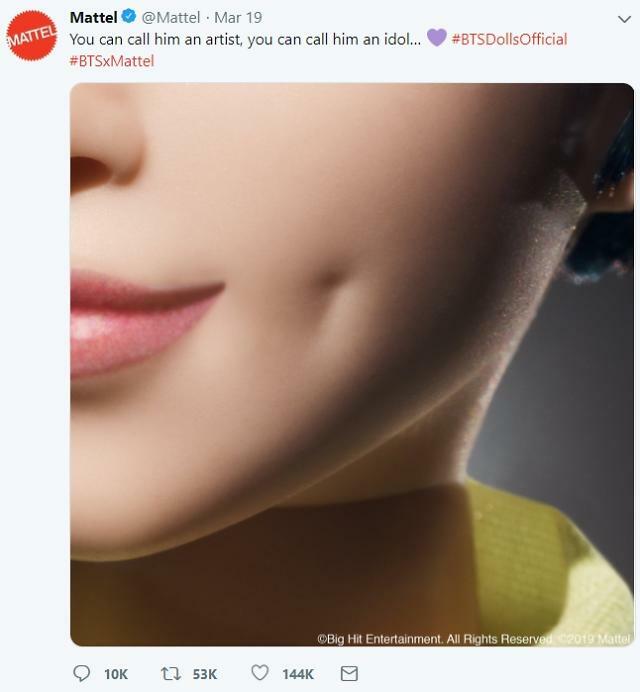 Despite insufficient hints, BTS' international fan club, ARMY, found clues, guessing that a doll with a close-up shot showing a dimple on his face should be RM because the BTS leader has a pair of trademark dimples. 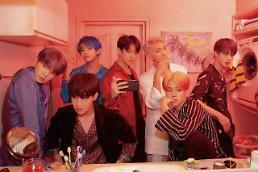 Fans also identified a doll wearing a fancy colorful jacket by comparing the jackets used by BTS members during their performance in 2018 and found Jin, a 26-year-old member, used to wear a colorful jacket with the same pattern.